Doing something special for mom on Mother’s Day is the best way to celebrate all of the love, support, guidance and care that a mother puts into raising her child. And after becoming a mom myself, I realize just how much time, effort and attention it takes! Although it’s important to appreciate mom everyday (ahem to my family! 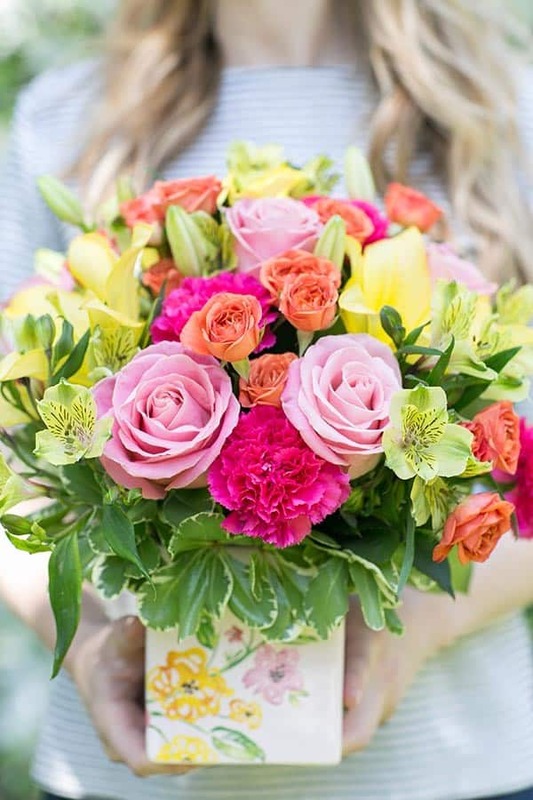 ), Mother’s Day is a great excuse to surprise her with something extra, just to let her know you’re thinking of her. 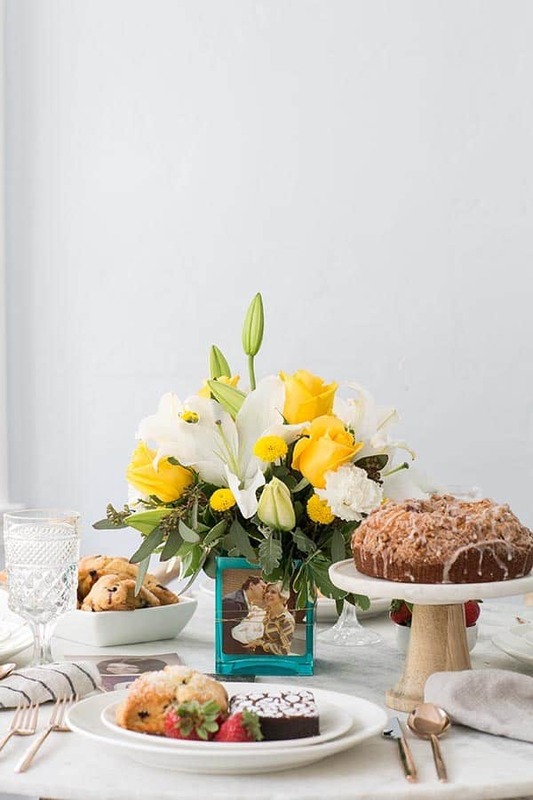 If you’re lucky enough to have your mother (or mothers) live near you, invite her over for a special morning bunch with coffee cocktails and treats! 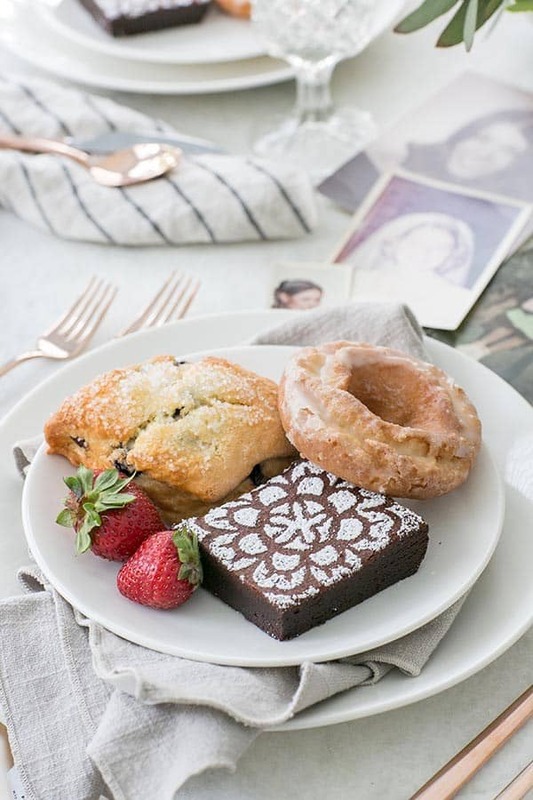 I set out fruit, scones, doughnuts, brownies (that I embellished with a stencil and powdered sugar!) 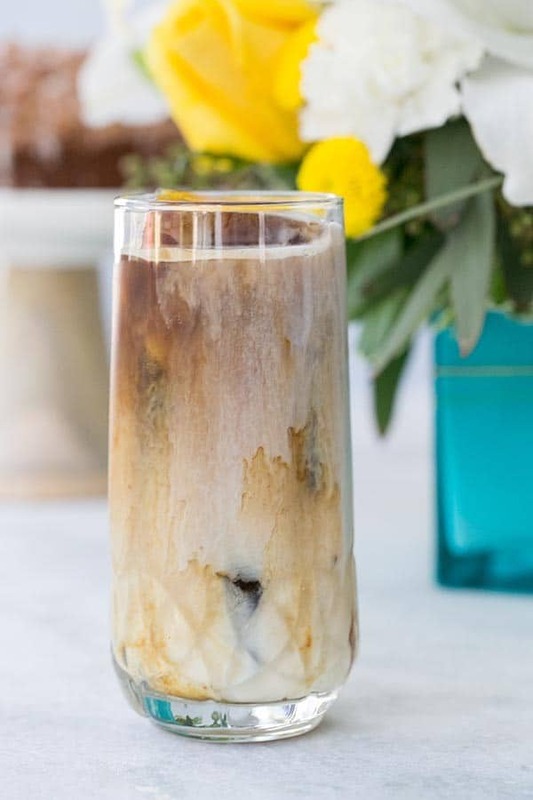 and made a delicious coffee cocktail, recipe below! I’m sure with all you put mom through while growing up, she could use a good coffee cocktail! 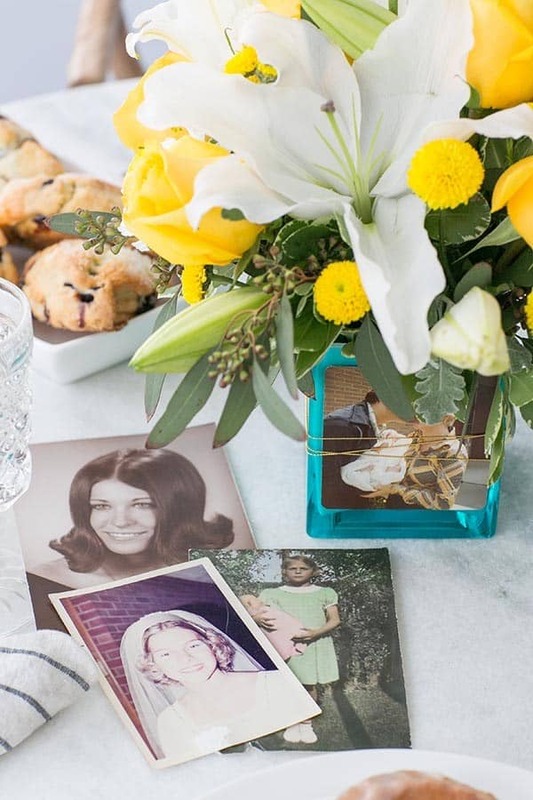 To personalize our morning brunch, I blew the dust off some old photos of her (haha, sorry mom!) to reminisce while celebrating her! 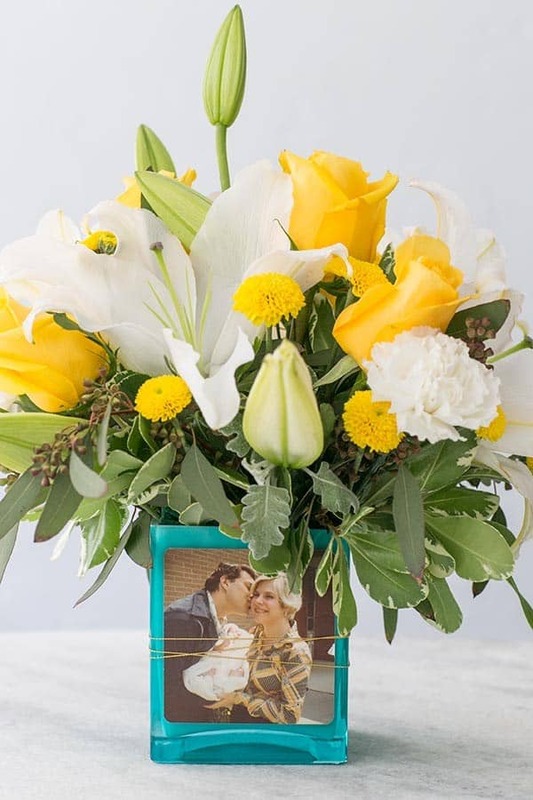 We made it simple and ordered 3 gorgeous arrangements, Painted Blossoms Bouquet, In Love with Lime and Golden Laughter from Teleflora for decor and beautiful take home presents for both moms! We also did a quick DIY and added a photo of each mom to the front of the vase! I was so impressed with Teleflora. 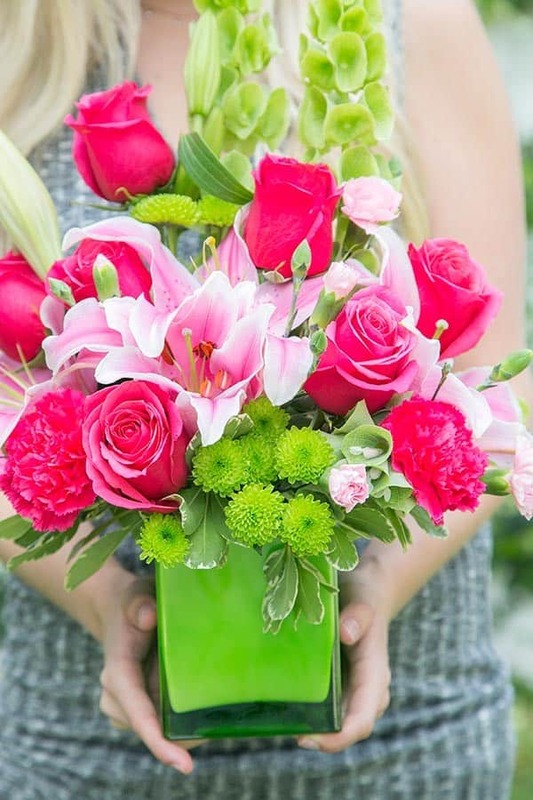 All of the arrangements are professionally arranged and hand-delivered by a local florist in your area. They looked perfect and were ready to be enjoyed when they arrived!! We kept admiring how perfect, gorgeous and fresh the flowers were!! 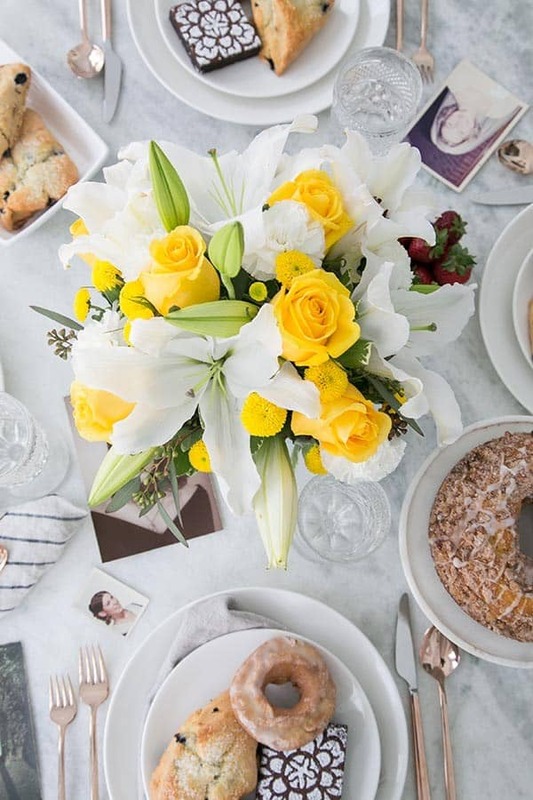 If you’re like me and have a mom and mother-in-law who always say “Don’t get me anything,” I think throwing an intimate brunch with a few personal touches, delicious treats and the most beautiful roses are a wonderful way to celebrate mom! Place the espresso, rum, banana liquor and macadamia but syrup in a cocktail shaker. Shake with ice. Strain over coffee cubes and pour cream over the top. 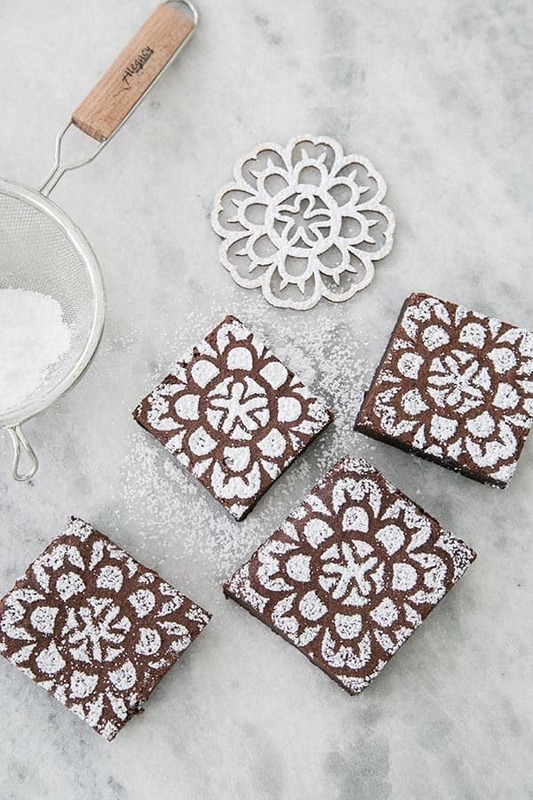 Hi where did you get the flower stencil for the brownies?